Here is my watch collection! Watches to me are just like jewelry and makeup to female. These watches are not expensive ones, but I love them and wear them for difference occsions and to fit my mood. 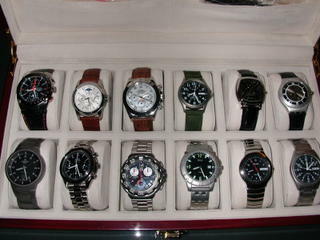 I've recently bought about 8 Seiko vintage watches at very reasonable prices!! They are very interesting and functional watches as well! !